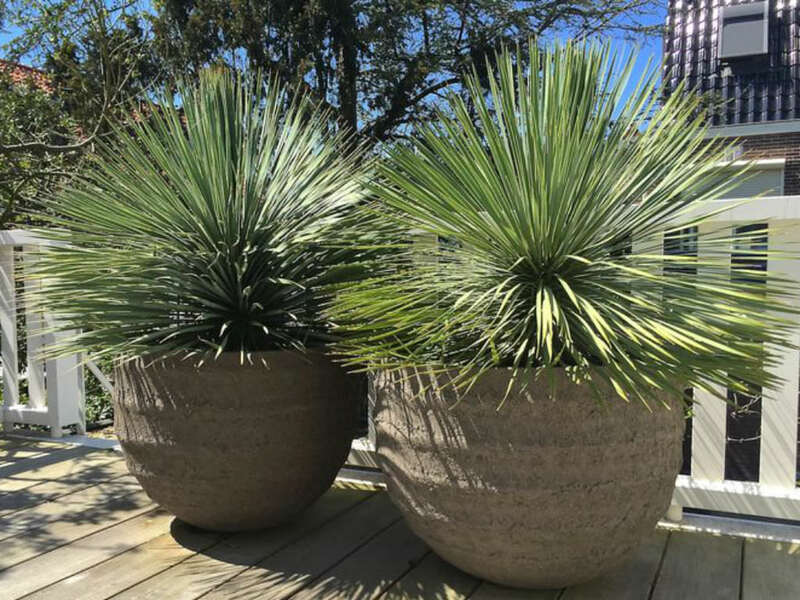 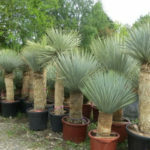 Yucca rostrata is a slow-growing, tree-like Yucca with upright stems and beautiful gray-blue narrow foliage. 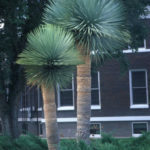 Although it can branch, it is most often seen with a single trunk, that can grow up to 15 feet (4.5 m) tall. 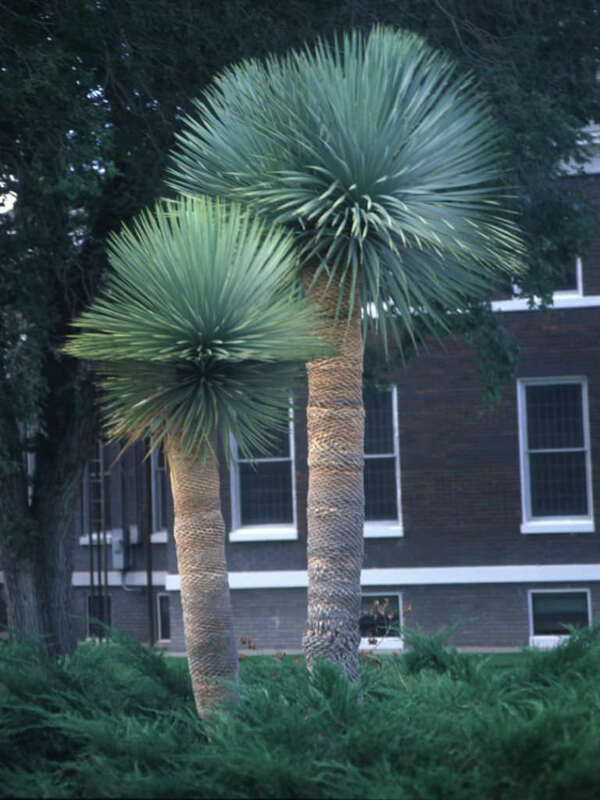 The 2 foot (60 cm) long, stiff, slightly waxy, pale bluish-green leaves with yellow margins, form a dense rosette on top of the stems. 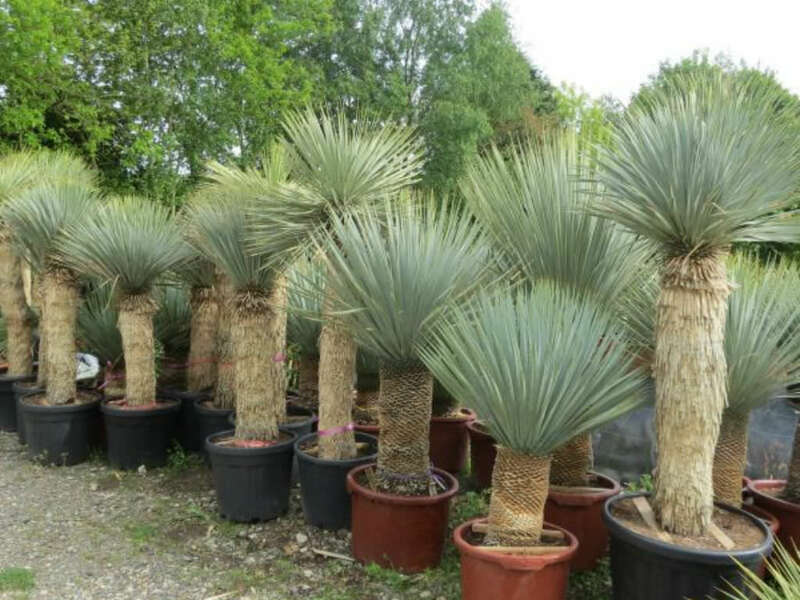 The old leaves fall off leaving a fibrous soft gray covering on the trunk. 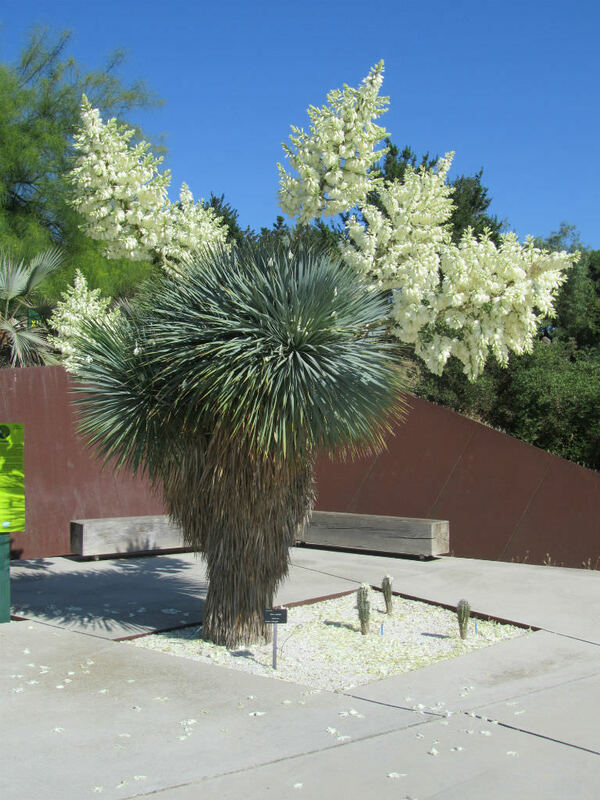 Large clusters of white flowers bloom on yellow-orange colored stalks that rise above the foliage on mature plants in late spring. 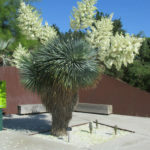 Native to United States (Texas) and Mexico (Chihuahua and Coahuila).